Hoist the Colors by NewRight! The Governor takes one of his Ambassadors on a walk while pirates arrive on Imperial owned sands. 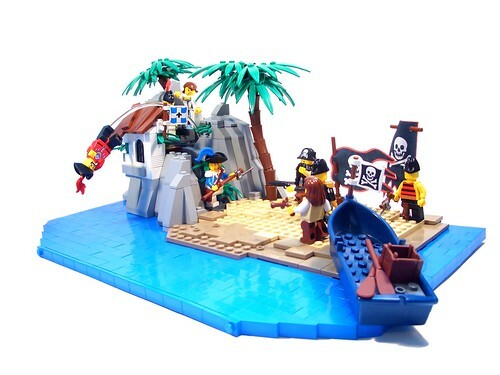 Eurobricks MOC expert NewRight, shares with us his latest comical pirate MOC, Hoist the Colors! Discuss Hoist the Colors by NewRight in the Moc forum! Categories: Imperial Soldiers, Pirate, Weapons & Accessories. Both comments and pings are currently closed. « The LEGO Group is listening!